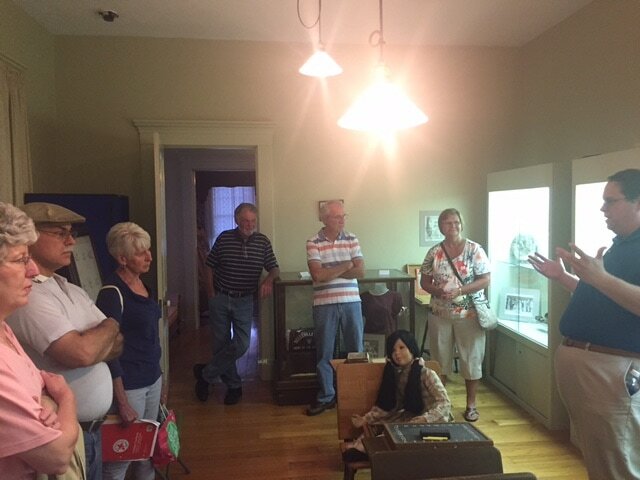 The Millstadt Historical Society members toured the St Clair County Historical Museum on June 27, 2017, which was led by Will Shannon, IV, Curator for the museum. The tour was completed in a room featuring educational memorabilia from the Belleville area. One item of particular interest was a penmanship book used by Henry Tegtmeier, a mid-19th century resident of Millstadt.